Now, Cook said he and others are calling on Congress to pass “comprehensive federal privacy legislation” that gives consumers full control over the data companies hold on them. “We believe the Federal Trade Commission should establish a data-broker clearinghouse, requiring all data brokers to register, enabling consumers to track the transactions that have bundled and sold their data from place to place, and giving users the power to delete their data on demand, freely, easily and online, once and for all,” Cook wrote. “Technology has the potential to keep changing the world for the better, but it will never achieve that potential without the full faith and confidence of the people who use it,” he added. 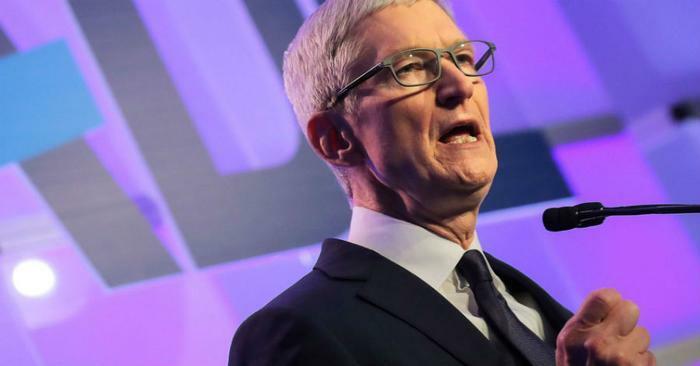 Cook’s growing concern over the issue of data privacy follows a string of major data breaches in the tech industry, such as Facebook’s Cambridge Analytica data sharing scandal. The social media giant was ultimately found to have allowed the consultancy firm to gain access to the information of 87 million users. The scandal, and others like it, sparked concern over the way social media companies are handling user data. “The time has come for Congress to address consumer data privacy in a candid, responsible and modern manner,” Rubio wrote in an op-ed for The Hill.